The perfectpH Inline Edition is our most versatile auto pH balancer yet. 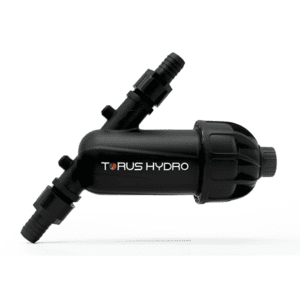 Using forced-flow circulation, passive pH control is now more efficient than ever for a wider variety of setups. 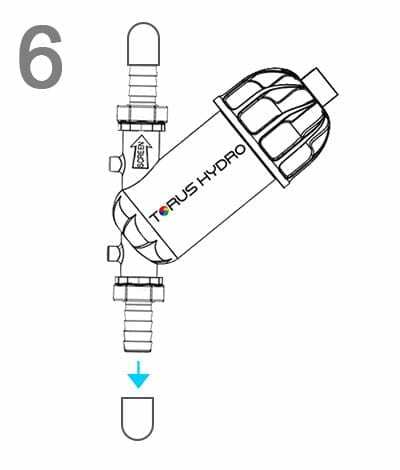 The Inline Edition now allows for compatibility with Drip Systems, Pre-Treatment Tanks, Bucket-Style Systems, Flood-and-Drain setups with infrequent flood schedules, and large Cloner Systems. 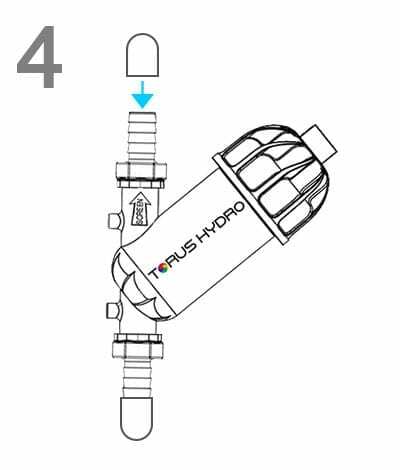 To set up, the Inline Edition is attached directly to the pump of your hydroponic system or pre-treatment tank using the supplied fittings. A - Only required when tube size adaptation is needed. C - Only required when tube size adaptation is needed. 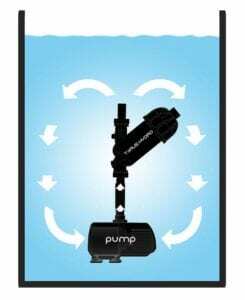 PerfectpH Inline Edition is attached directly into the pump send line and the nutrient mixture circulates through the unit, passing it along to the system for recirculation. 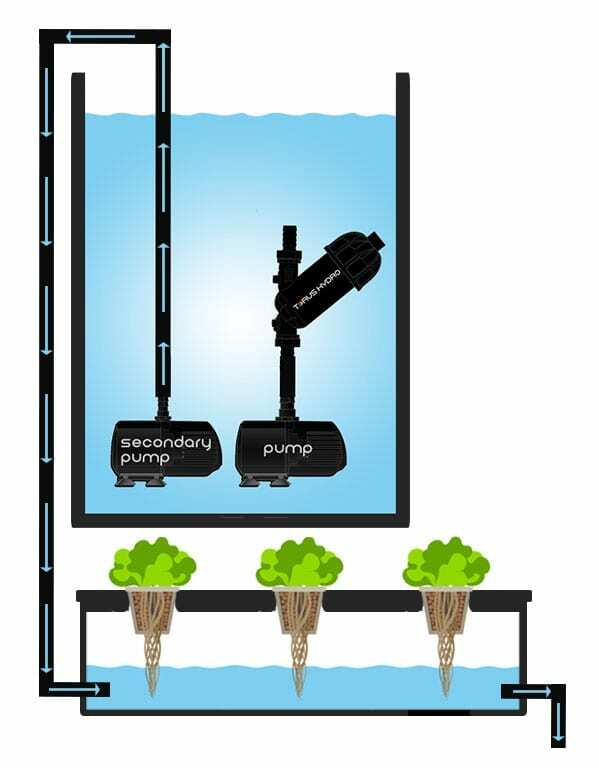 With the nutrient mix interacting so directly with the perfectpH, compatibility is now expanded to systems with low circulation and/or minimal root development, like drip systems, aeroponic systems, and cloners. The PerfectpH Inline Edition is the first perfectpH that can be used in systems without actively rooted plants. 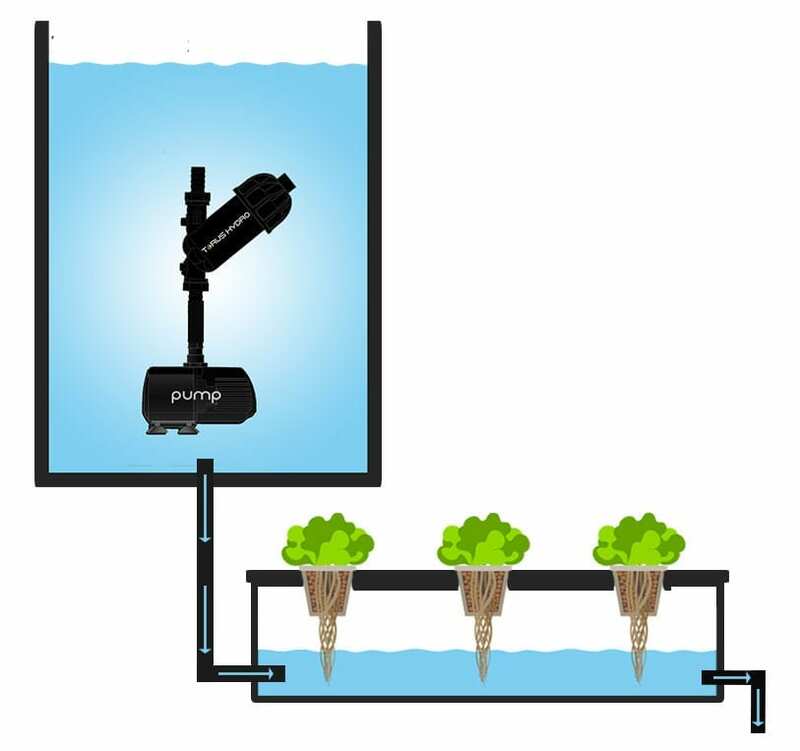 The technology is so robost in its ion interaction that the device can be attached directly to a pump and placed in a tank of water/nutrient mix, balancing the pH of the solution as it circulates through the unit. 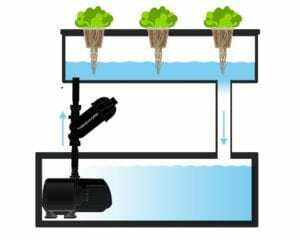 This can be used for a variety of applications, including drain-to-waste systems and set-ups using soil. 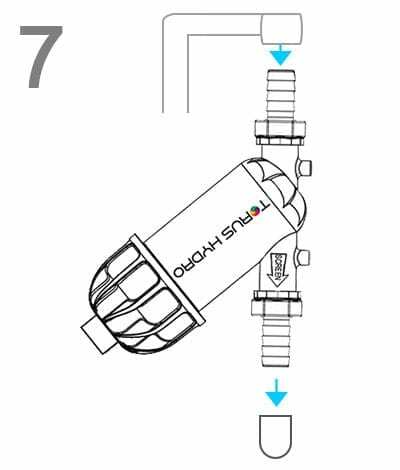 In Drain-to-Waste systems, the PerfectpH Inline Edition can be used by attaching the device to a pump, placing in a pre-treatment tank, and using a secondary pump to feed the mixture from the tank to the system. 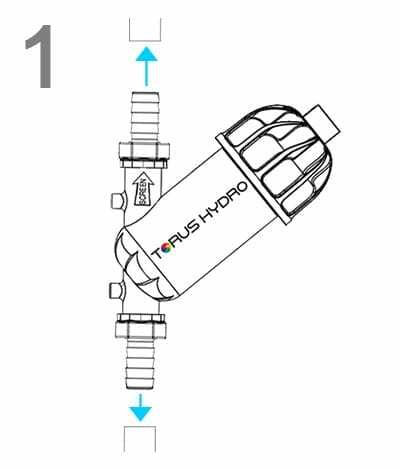 As well as using a secondary pump, the perfectpH Inline Edition can be used in Drain-to-Waste Systems by using a gravity feed line, delivering the nutrient mixture from the tank to the system. 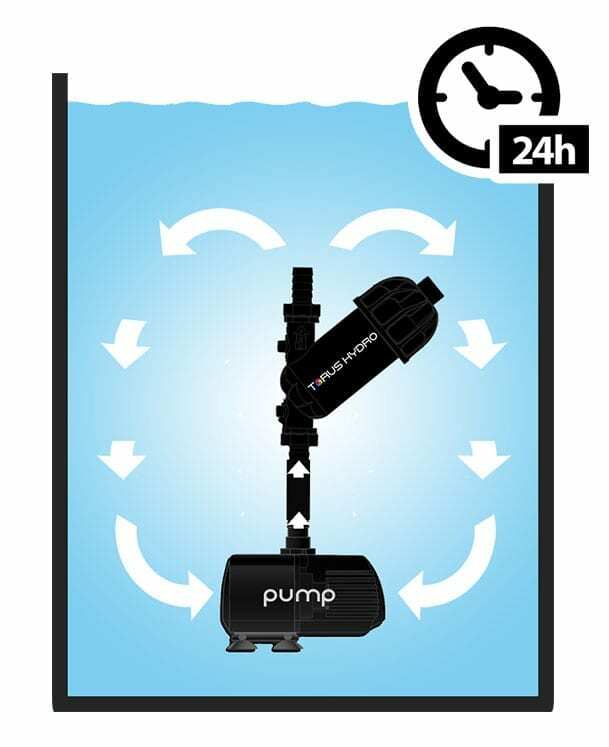 Before first use, run perfectpH in a tank or bucket of water with pump for 24-48 hrs before adding to system. 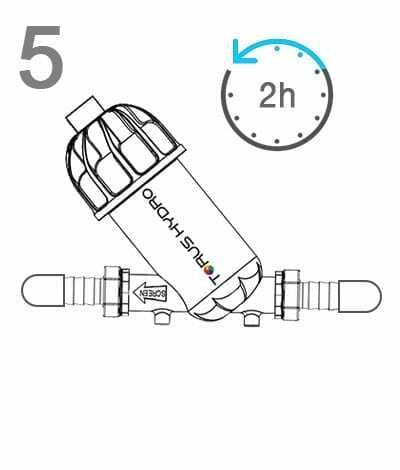 When pH of the water settles at 3-4, the unit is ready and pH will auto calibrate to 5.7-6.5 upon adding to the system. Calibration can be performed in an active system, with a reservoir change or addition of pH up required after initial pH drop. Plug one end of the unit with one of the included end caps. 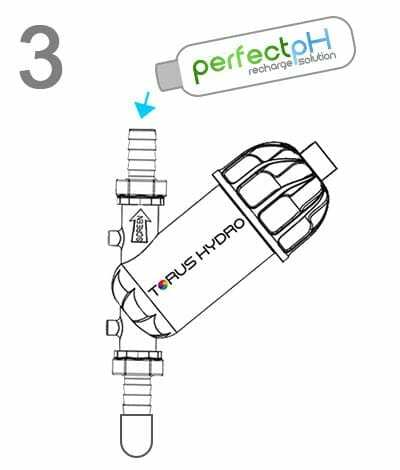 With one end plugged with the end cap,pour the perfectpH Recharge Solution into the other end, until the inside of the unit is filled. 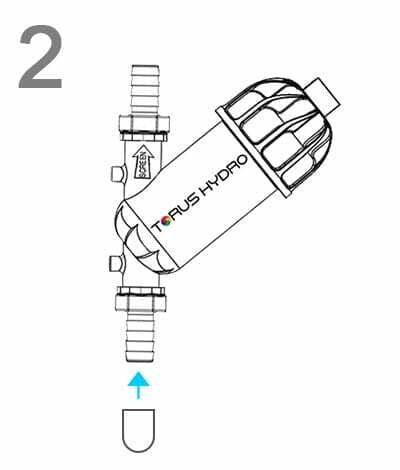 Plug the other end of the unitwith the other included end cap, to create a liquid-tight environment within the unit. Leave unit to sit with the end caps secured and solution inside for 2 hours. After sitting for 2 hours. Remove one of the end caps and drain the solution out of the unit. 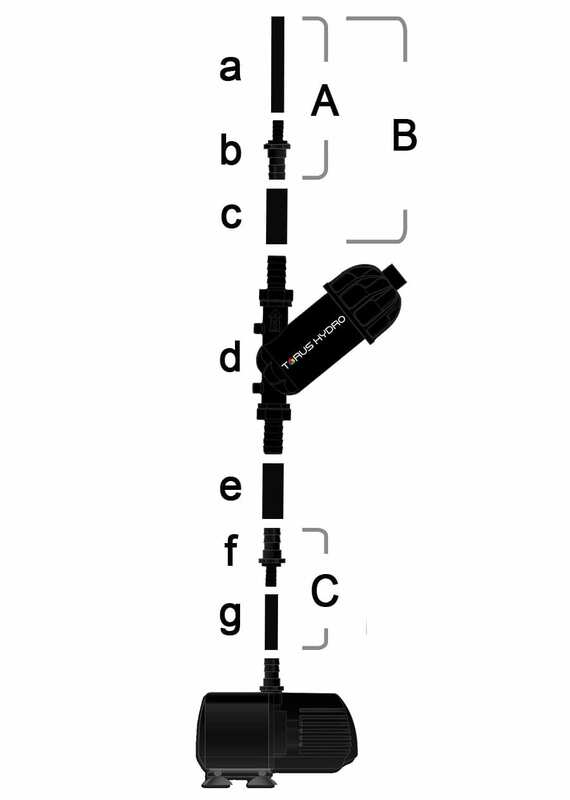 Return the unit to the system by reconnecting the fittings of the unit to the tubing.